Taichung, officially known as Taichung City (Chinese: 臺中市; pinyin: Táizhōng Shì), is a special municipality located in center-western Taiwan. Taichung has a population of approximately 2.78 million people and has been officially ranked as Taiwan's second most populous city since July 2017. The current city was formed when Taichung County merged with the original provincial Taichung City to form the special municipality on 25 December 2010. Located in the Taichung Basin in central Taiwan, the city became a major economic and cultural hub during Japanese rule. It serves as the core of the Taichung–Changhua metropolitan area, with Xitun District serving as its industrial and manufacturing base. The city is home to the National Museum of Natural Science and the National Taiwan Museum of Fine Arts, as well as many cultural sites, including the historic Taichung Park, the Lin Family Gardens, and many temples. In 1682, the Qing dynasty wrested control of western Taiwan from the Cheng family (Kingdom of Tungning). In 1684, Zhuluo County was established, encompassing the underdeveloped northern two-thirds of Taiwan. Modern-day Taichung traces its beginnings to Toatun (Chinese: 大墩; pinyin: Dàdūn; Wade–Giles: Ta4-tun1; Pe̍h-ōe-jī: Toā-tun; literally: "large mound") in 1705. To strengthen Qing control, a garrison was established in 1721 near the site of present-day Taichung Park by Lan Ting-chen. North of the city, on the Dajia River, an aboriginal revolt broke out in 1731 after Chinese officials had moved in and compelled them to provide labor. The revolt spread as far south as the seat of Changhua County in May 1732 before the rebels were chased into the mountains by Qing forces. In 1786, another rebellion against the Qing authorities had its roots in the district of Dali. The Lin Shuangwen rebellion began as an attempt to overthrow the Manchu government and restore the Ming dynasty. Unfortunately, as the rebels moved northward, they turned to slaughter and looting. They were eventually defeated by a coalition of Qing forces, Hakka, Quanzhou Fujianese descendants, and aboriginal volunteers. When Taiwan Province was declared an independent province in 1887, the government intended to construct its capital city at the centrally located Toatun, which was also designated as the seat of Taiwan Prefecture. Thus the city took the name of "Taiwan-fu", meaning "capital city of Taiwan", from modern-day Tainan, which had held the title for more than 200 years. Qing official Liu Ming-chuan received permission to oversee development of the area, which included constructing a railway due to the inland location of the city. However, the provincial capital was ultimately moved to Taipei. After China lost the Sino-Japanese War in 1895, Taiwan was ceded to Japan by the Treaty of Shimonoseki, and the name of the city was changed to Taichū (Japanese: 臺中). The Japanese sought to develop the city to make it the first “modern” area of Taiwan. The Japanese administration invested in roads, dams and levees. In 1901, Taichū Chō (臺中廳) was one of twenty local administrative districts established around the island. In 1904, the town of Taichū had a population of 6,423, and Taichū District had more than 207,000. Taichū Park was completed in 1903. A tower marking the old north gate was moved to the new park where it stands today. The first market in Taichū was built in 1908, along the JiGuang Road between the ZhongZheng and ChengGong Roads and it is still in use today. The Japanese undertook a north-south island railway project. Taichū Station was completed and began operation in 1917, and still operates today. Taichū City was officially declared by Japanese Imperial authorities in 1920, and Taichū City Hall was completed in 1924 after eleven years of construction. Kōkan Airport (公館空港), now known as Taichung Airport, was constructed during Japanese rule. 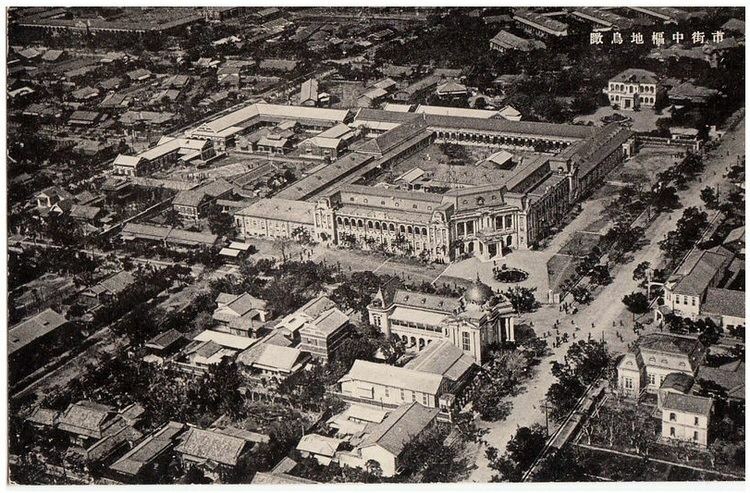 Taichū Middle School (now known as Taichung First Senior High School) was founded in 1915 by elite members of local gentry, including Lin Hsien-tang and his brother Lin Lieh-tang, two wealthy Taiwanese intellectuals of the era. This was in an effort to teach children the culture of Taiwan and to foster the spirit of the Taiwanese localization movement. The Taiwanese Cultural Association, founded in 1921 in Taipei by Lin Hsien-tang, was moved to Taichū in 1927. Most of the members of this association were from Taichū and the surrounding area. The city became a center of Taiwanese culture and nationalism. From 1926 to 1945, Taichū Prefecture covered modern-day Taichung as well as Changhua County and Nantou County. Its new-found prosperity was lost during the Second Sino-Japanese War (1937–45). When World War II ended in 1945, Taiwan’s economy, like Japan’s, was in a very poor state. At the end of the war, Japan handed over control of Taiwan. The early post-war era was one of transition and turmoil for Taiwan. Taiwanese nationalists had divided into three groups, one of which was known as the 'Taichung Clique'. These were men who had enjoyed relatively high social standing during the Japanese era, such as Lin Hsien-tang, Yang Chao-chia, Yeh Jung-chung, and others. They attempted to take what they believed to be their rightful place as the new political leaders of the island. However, the ROC administrator of the island, Chen Yi, opposed this group as it contained many people, especially merchants and landlords, who were opposed to ROC policies. The airport then expanded in 1954 according to the Sino-American Mutual Defense Treaty, and later renamed Ching Chuan Kang Air Base (CCK) in memory of General Qiu Qingquan on March 20, as deputy director of Suppression General Headquarter of Xuzhou Garrison and commander-in-chief of 2nd Army whose death on January 10, 1948, marked the nationalist defeat in the Huaihai Campaign. In 1966 the American Air Force established a joint forces air-base here with the airport code CCK. It was the largest air force base in the Far East at the time, allowing B-52 Stratofortress to land. During the Vietnam War, CCK became a depot for the US Air Force. The US Air Force had been garrisoning with two fighter squadrons until the Sino-American Mutual Defense Treaty came into force on March 3, 1955. The US Military used CCK air base and ShueiNan airbase to run many of its long-distance Vietnam, Cambodia and Laotian bombing, scouting and cargo transport runs during the Vietnam conflict era. This base was shut down and most American facilities were removed after Nixon established diplomatic relations with Deng Xiaoping of the PRC in 1979, after former Chairman Mao's death allowed a diplomatic opening of relationships with today's China. In 1947 the first Mayor of Taichung County (which included Taichung City) was Lai Tien Shen. He was a very honorable man and well respected. His picture is still honored at the Taichung Municipal Building. The position was appointed by the government to rule during the interim period. Upon losing the Chinese Civil War to the Communists, the Kuomintang (KMT), relocated the government of the Republic of China to Taiwan. Both Taichung areas were declared a provincial city and county in 1949 by the ROC government. Since then the city has grown as a center of higher education, commerce and culture, where 70% of employees worked in service industries. The surrounding county developed manufacturing, which employed 48% of the workforce, and focused so successfully on precision machinery, from machine tools to bicycles, that it was nicknamed the “Mechanical Kingdom.” On 25 December 2010, the city was merged with the surrounding Taichung County to create a special municipality of 2.65 million people spread across 2,214 km2 (855 sq mi). Taichung City is located in the Taichung Basin along the main western coastal plain that stretches along the west coast from northern Taiwan almost to the southern tip. The city is to the north of 24°N latitude and on a longitude between 120.5°E and 121.5°E. The city borders Changhua County, Nantou County, Hualien County, Yilan County, Hsinchu County and Miaoli County. The Central Mountain Range lies just to the east of the city. Lower, rolling hills run to the north leading to Miaoli County. Flat coastal plains dominate the landscape to the south leading to Changhua County and the Taiwan Strait to the west. Taichung has a warm humid subtropical climate (Köppen Cwa) bordering on a tropical monsoon climate, with an average annual temperature of 23.3 °C (73.9 °F) with the highest temperature of the year occurring in July and August, while the lowest temperature occurs in January and February. Daytime temperatures remain warm to hot year-round, though night time temperatures during the winter months are significantly cooler than those during the summer and the warm daytime temperature. The average annual rainfall is just above 1,700 millimetres (67 in). The average humidity is 80%. Due to Taichung plain's strong radiative cooling effect, Taichung City is one of the few (or only) cities of Taiwan where the year round average daily low temperature falls below 20 degrees Celsius, with even most cities of northern Taiwan, such as Taipei and Keelung having an average low of over 20.5 degrees C.
Taichung’s population was an estimated 2,778,182 in July 2017. There are slightly more females in the city (50.97%) than males. 24.32% of residents are children, while 16.63% are young people, 52.68% are middle-age, and 6.73% are elderly. According to Ministry of Interior statistics, the fertility rate in Taichung City in 2007 was 1.165 for each woman. Unlike Taipei in the north, which is solidly in the Pan-Blue political camp, and the southern cities of Kaohsiung and Tainan that are solidly Pan-Green, Taichung is far more balanced, with the urban city center area leaning Blue and the suburban and rural areas leaning Green. In fact, each of the two major political parties has won a mayoral election among the last four with at least 49 percent of the vote (Democratic Progressive Party in 1997 and 2014 and the Kuomintang in 2001 and 2005). Similarly, the Kuomintang majority in the city council is not as large as it is in other cities, and is only negligible when one excludes Beitun District, which is solidly pro-Kuomintang. As a result of the relative moderate stand of the city residents, political upheaval and violence are far rarer in Taichung than in other large cities of the country. Taichung’s legislative branch is a unicameral 46-member City Council. Each member is elected from one of six multiple member districts where each voter has only one vote. Thus, none of the elected council members has anywhere close to a majority of votes in their electoral district. Beitun (北屯區): Geographically, this is the largest district in the city, spreading from the north to the northeastern-most reaches of the city. It includes the comparatively rural area of Dakeng. 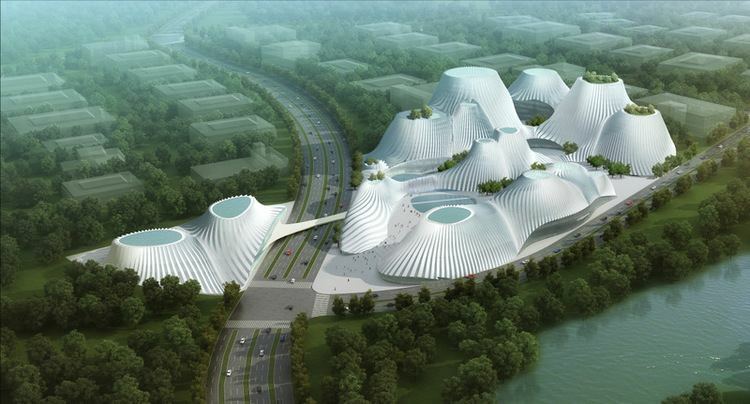 It also includes the Taichung Folklore Park and Morrison Academy. Central (中區): This is the smallest and most densely populated district in the city. It is home to the Taichung Train Station, Taichung Park, and a large number of traditional businesses in the downtown area. This district is home to the original suncake shop on Ziyou Road (自由路) and is where most of Taichung's major businesses used to be located. East (東區): Literally on the other side of the tracks from the main part of the downtown area. The Taichung Central Department Store is located here. Nantun (南屯區): Occupies the southwestern-most portions of the city. There is still considerable farmland in this area, but since the High Speed Rail has opened in the adjacent Wuri District there is a growing number of residents. Currently, Nantun is most well known for high property values and expensive, luxurious cottages, which have in turn attracted many large department stores into adjacent areas of Xitun District. 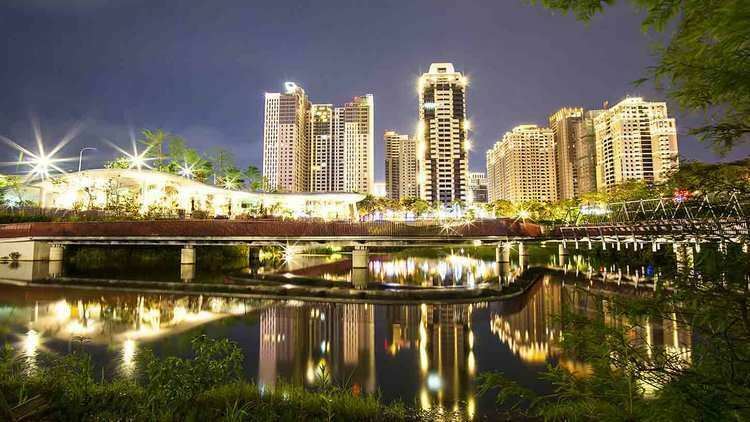 North (北區): Nestled between Central and Beitun Districts, it is home to the National Taichung First Senior High School and Yizhong Street, one of the best known shopping belt in the city. It is also home to the National Museum of Natural Science, Chungyou Department Store, and Zhongshan Hall. Xitun (西屯區): This district spreads out to the western edge of the city and is home to Feng Chia and Tunghai Universities. It is also the location of many of the new, fashionable shopping areas in the city and is the area of greatest growth. The Taichung Industrial Park, World Trade Center, and the Chaoma Bus Station, a major embarkation point from the city. Major department stores include Idee, Shinkong Mitsukoshi, Top City, and Tiger City. The new City Hall is located near the eastern edge of this district on the major Taichung Port (Taizhonggang) Road. South (南區): Occupying the southernmost part of the city, it is home to National Chung Hsing University and the Taichung Industrial High School. West (西區): West District is home to the National Taiwan Museum of Fine Arts as well as the Municipal Cultural Center. A lot of cultural activities were held here. This area is also known for its restaurants, which have attracted many people come with their reputation for exotic cuisine. Taichung's old City Hall is here, as is National Taichung University. The Sogo Department store is in the northern part of the district. Taichung has a vibrant, diverse economy that incorporates traditional businesses, small family-run shops and factories, large industrial areas, and a thriving commercial sector. The heart of Taichung’s economy has long been the small business. The small business sector still thrives in the city and is in most evidence in the downtown area with small eateries, traditional markets, and other family businesses. Taichung's Chun Shui Tang teahouse (春水堂) is where bubble tea was invented, by a teahouse owner, Liu Han Chie (劉漢介). Taichung is most famous for its suncakes (taiyang bing). Taichung is an important center for a number of key industries. The city is a major manufacturer of bicycles and sporting goods. Giant Bicycles, the largest bicycle manufacturer in the world, has its headquarters there. Small metalworking, mold and die enterprises abound. During the heyday of the Taiwanese Miracle, the city hosted the famous "Shoes Nest," with hundreds of small firms involved in the shoe industry, which has since moved to China. Nike's Asian design center is located in Taichung. Xitun District is the home of Taichung’s industrial zone. World Trade Center Taichung is the symbolic heart of the zone, where various trade shows and exhibitions are held throughout the year. Most of Taichung’s traditional manufacturing base is in this area, which is the area of Taichung City that is nearest the port. In the northeast part of Xitun District there is a science-based industrial park. The growing prosperity of Taichung residents has resulted in the growth of the upscale retail sector, with the opening of massive up-market department stores, as well as the construction of several luxurious condo complexes in the rapidly developing areas near a newly constructed government complex, as well as the growth of up-market neighborhoods in Beitun District. In Taichung, there are two parallel railways, one is the Mountain Line which passes through the urban areas in the interior, and the other is the Coast Line which passes through rural areas closer to the shore. Taichung Station is located on Jianguo Road (建國路). There is a small square in the front of the station, and numerous bus companies have stations within a three-minute walk of the station. They provide comprehensive local bus service along with long-distance bus services, many of which are to towns not served by trains. Taichung Station lies on the Taiwan Railway Administration Mountain Line, which splits from the coastal line from Changhua City to the south of Taichung, to Jhunan, near Hsinchu, to the north. The first southbound train departs for Pingtung at 6:05am in the morning while the first northbound train departs for Taipei at 6:10am. The last trains in the early morning depart at 2:37am and 2:46am for Pingtong and Taipei respectively. There are two other local train stations within the city limits of Taichung. They are Taiyuan Station located in Beitun District and Daqing Station in South District. Both are only serviced by local trains. The new Taiwan High Speed Rail was recently completed, allowing travel to Taipei and Kaohsiung in 90 minutes. The THSR Taichung Station is located in Wuri and is served both by local trains as well as free shuttle buses into the city. Taichung Port, located on the coast in Taichung City, is the second largest cargo facility on the island capable of handling container shipping. Despite being the second largest port on the island of Taiwan, there are no passenger ferry services available and the port is closed to unauthorized personnel. Unlike other major cities, Taichung has no expressway crossing the city. The heaviest traffic congestion is on Taiwan Boulevard (臺灣大道), which can come to a stand still not only during rush hour, but also on weekends or late evenings as many of the most popular shopping centers and movie theaters are on that stretch of road. Other busy stretches of road include Sanmin Road near Chungyou Department Store and Yizhong Street, especially during late evening, when local cram schools and baseball games typically let out. The downtown area is roughly a grid pattern with Ziyou Road (自由路) and Sanmin Road (三民路) running southwest to northeast while Zhongzheng Road (中正路) and Linsen Road (林森路) run northwest from the center of the city, in addition to the more narrow one-way roads that follow the grid pattern as well. A large number of multi-lane roads lead out of the downtown area in all directions. Some of these roads are divided by a physical barrier or median to enhance safety. These roads include Taiwan Boulevard (臺灣大道), Wuquan West Road (五權西路), Beitun Road (北屯路), Taiyuan Road (太原路), Hanxi Road (旱溪路), Guoguang Road (國光路), Zhongqing Road (中清路), Wuquan South Road (五權南路) and Wenxin South Road (文心南路). Stop lights and lane indicators are generally observed on major streets, but are often viewed more as suggestions rather than legally enforced traffic rules unless traffic police officers are present. Speed limits are often not enforced, except where specifically designated speed detection cameras are present and marked with signs, making traffic conditions some of the most dangerous on the island. Most major intersections have traffic signs with Romanized names. However, despite the fact that Taichung City has recently declared Hanyu Pinyin the official romanization system for the city, there are numerous signs left over from previous romanizations, while a large number of minor intersections have no romanization of any kind. Navigation in Taichung City is extremely difficult for those who are unable to read Chinese characters. The city currently does not have any type of rapid transit system, though a municipal MRT system is currently under construction with completion of the Wuri-Beitun line scheduled for 2018. For a short period of time the city operated a bus rapid transport system, named the BRT Blue Line, running down Taiwan Boulevard. It used articulated buses running a specialized lane, a first in Taiwan. The system began operation in July 2014; however, it did little to ameliorate traffic congestion, and was terminated within a year. The lane and specialized bus stops are currently used as a general bus lane, with bus lines 300 - 309 running through it. While a normal bus system exists covering parts of the city, it is not reliable in all places. Among the bus companies providing local service are Taichung Bus Company (臺中客運), Fengyuan Bus Company (豐原客運), Changhua Bus Company (彰化客運), and Presidential Bus Company. While heavily congested areas have buses, other areas have intermittent to no service. While there is theoretically a schedule when buses are to arrive, they are often not reliable. Signs at bus stops are not bilingual, not complete and often, not current. National Highway No. 1 passes through the western part of downtown Taichung and has five interchanges. The northernmost is in Houli District (甲后路), the second in Fengyuan District (中山路), the next two are in Xitun District (中清路 and 臺灣大道), another in Nantun District (五權西路), and the southernmost is in Dadu District (沙田路). It also has one junction with National Highway No. 4 in Shengang District. The second most important North-South freeway, the National Highway No. 3, passes through the city, it has four interchanges, the first in Dajia District (甲后路), the next in Shalu District (明德路), another in Longjing District (中興路), and the northernmost in Wuri District (環中路). The only national highway completely within the city limits of Taichung is the National Highway No. 4, connecting (from East to West) the districts of Fengyuan, Shengang and Qingshui, and has two junctions, one with Highway No. 1 and the other with Highway No. 3. Taichung-Changhua Expressway (中彰快速道路,) is the main stretch of Provincial Highway No. 74 that runs from northwestern Taichung City into the northern part of Changhua City just to the south of Taichung. At some points, it is just a few dozen meters east of the Sun Yat-Sen Freeway. While it does not connect directly to that highway, it does have an interchange with National Highway No. 3 (國道三號) in Wuri District, where one can then access it in a couple of minutes. Taichung-Nantou Highway (中投公路,) also known as Provincial Highway No. 63, runs from Dali District to Nantou County. It can be accessed by driving on Wuquan South Road. While there is no direct interchange with National Highway No. 3, one can get off in Wufeng and, after about two minutes on surface roads, easily access the highway. The Taichung International Airport is the third and newest international airport in Taiwan. The Taichung International Airport civilian terminal is located on the western corner of Ching Chuan Kang Air Base (CCK), about 20 kilometers (12 mi) from downtown Taichung City. The main road linking Taichung and the airport is Zhongqing Road (Provincial Route 10). Taichung City offers a full range of educational opportunities for its residents. From kindergartens to national universities, Taichung has schools that fit nearly every need from bilingual kindergartens to public and private university education. Taichung City is in the process of implementing Hanyu Pinyin on road signs throughout the city. However, there are still signs displaying spellings from previously used romanization systems as well as Tongyong Pinyin and systems that do not conform to any standard system. Unlike Taipei which uses a capital letter at the beginning of every syllable, Taichung City uses the standard form of Hanyu Pinyin on street signs erected in recent years. However, the municipal website uses the Taipei system. Most major intersections have at least one sign containing some form of romanization. Nearly every intersection in the downtown area has signs in Hanyu Pinyin. However, outside of the downtown area, while coverage by Hanyu Pinyin signs is improving, many intersections have signs in other romanization systems (especially Wade–Giles and MPS2) or no Romanized signs at all. 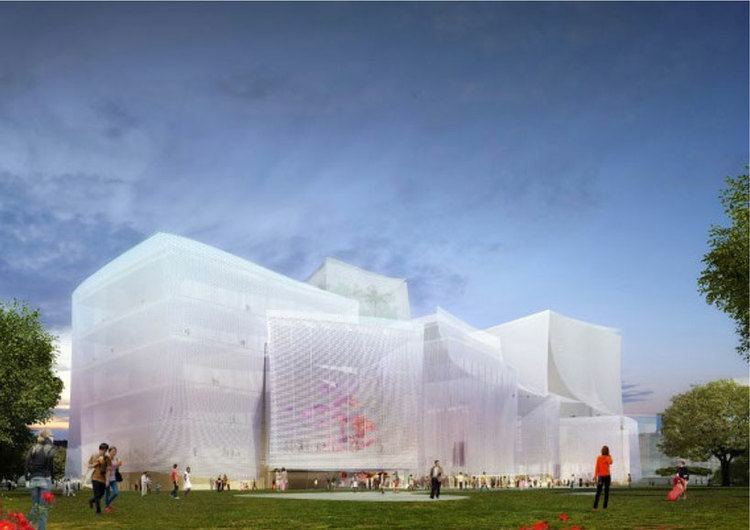 The National Taiwan Museum of Fine Arts houses the world’s largest collection of Taiwanese art. Temples can be found all over the city of Taichung. While many of them are of recent construction, others are considered historic and are indicative of the changing currents through Taichung’s history. Zhong Hua Night Market - located in the heart of Central District, along ZhongHua (Jung Hua) Road. Taichung hosts two road races annually. The ING Marathon preparation 10K race is held every September in the Metropolitan Park. The Supau Cup Marathon is held on the city’s streets every autumn, either in October or November.